Ada Ciganlija is elongated river island created on the fourth kilometer of the Sava River from the confluence of the Danube River. Name Ciganlija could come from Celtic words "single" and "lia", which mean island and underwater land. The name conjures up variability of Sava water level. When it is low level, it is the Singa, when high level, then Lia. "Singalija" eventually turned into Ciganlija. Prince Milos Obrenovic has named the island the state and the national good in 1821, as it is today. The total area of Ada, with Ada Medjica, is 800 hectares. 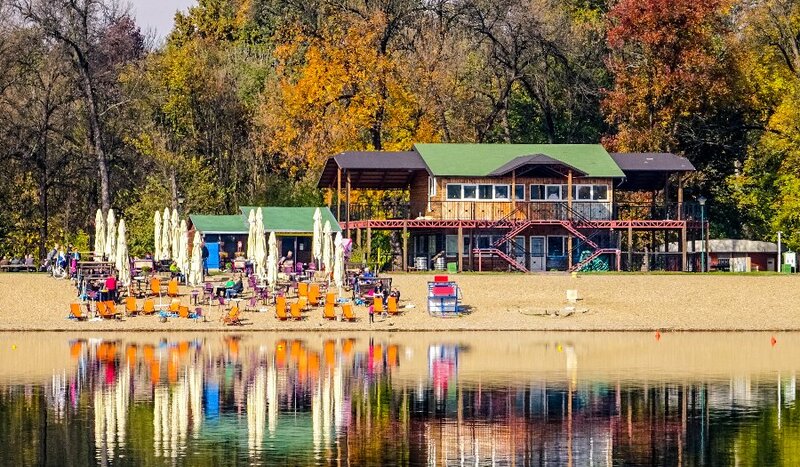 Covered with dense deciduous forest, interspersed with glades and meadows, Ada Ciganlija has become the largest, most beautiful and the most visited resort in Belgrade. This very popular attraction in Belgrade hosts over 1,000,000 visitors during the summer. Famous for its beaches, sports facilities, bars, restaurants and many activities it offers and due to its popularity it is often called the Belgrade Sea. Ada is rich in wildlife, the largest communities are endangered small cormorants, wild ducks and gulls, as well as pheasants and quails. Also, this is one of the few places in the city where in the nature you can see a deer or rabbit. For fishermen, there is also the lake Ada Safari. Beach around the Sava Lake is fully furnished and equipped with infrastructural facilities, and is one of the largest and most beautiful beaches on the artificial lakes in Europe. The lake is ideal for swimming, boating, kayaking, water polo, diving, windsurfing and other sports. Over 50 different sports courts have been built outdoors, including a golf course and ski lift for skiing. For lovers of extreme sports, there is bungee jumping, wall-climbing and "paintball". Ada Ciganlija is a cultural and entertainment center of Belgrade, especially in the summer. It organizes a number of events involving the most famous writers, entertainers and cultural clubs, choirs, orchestras. Dozens of restaurants in the rustic style, rafts-restaurants and homes on the water make a gastronomic offer at Ada. Those amenities preserve and foster the bohemian tradition of Belgrade. The Belgrade club and nightlife is enriched with opening the bars that are popular throughout the year. At the entrance to the lake there is a collection of stone sculptures, which attracts a lot of attention of tourists. 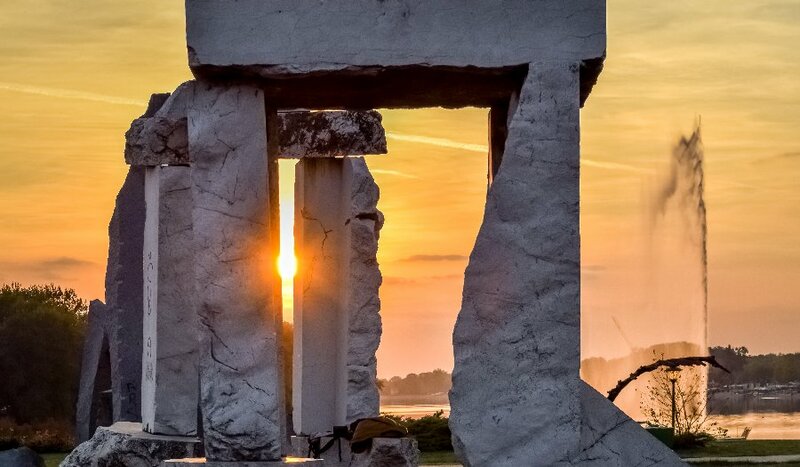 The formation is called "Stone Town" and it is a work of the sculptor Ratko Vulanovic. 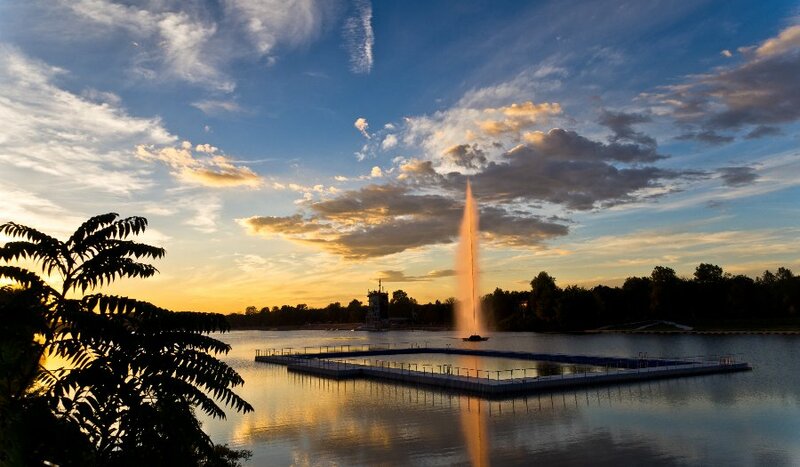 One of the trademarks of the Sava lake is water fountain, similar to the most famous fountain in Geneva. At night it is lit and it also represents one of the attractions of "Belgrade sea".